Frank Lloyd Wright & Feng Shui? NO! Wright pioneered living rooms (over parlors), carports (in an age moving from buggies to cars), and open floor plans (the ubiquitous design of post-1980 tract homes). But none of those innovations automatically generate good Feng Shui, and are not inherently imbued with Feng Shui principles…. Cate Bramble, Feng Shui Ultimate Resource. Frank Lloyd Wright & Feng Shui? YES! Master Xu Weili, Windhorse Feng Shui Consultants. In reality both FLW and the practice of feng shui are concerned with Man’s relationship to his environment, both wanted the occupants to live in harmony with Nature, but they have a different approach to this relationship, in which FLW viewed Man as the “host” and Nature as the “guest”, whereas in the practice of feng shui, Nature is considered as the “host” and Man as the “guest”. 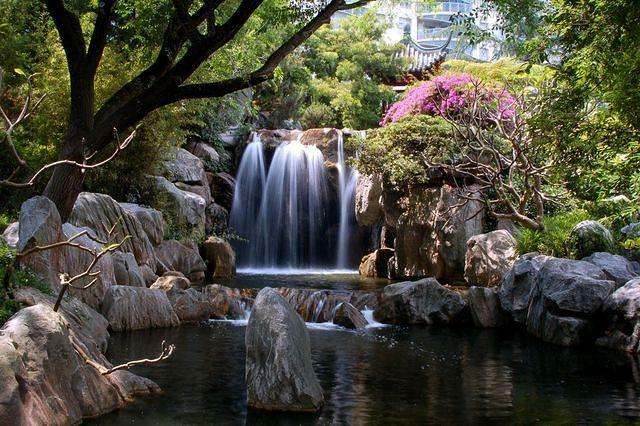 In a traditional Chinese worldview, Man is always subordinate to Nature but in FLW’s case, Nature is there to serve Man (to make his house stand out) and we can see this clearly is a picture of a Chinese garden with a waterfall and FLW’s Fallinwater over a waterfall. PS. 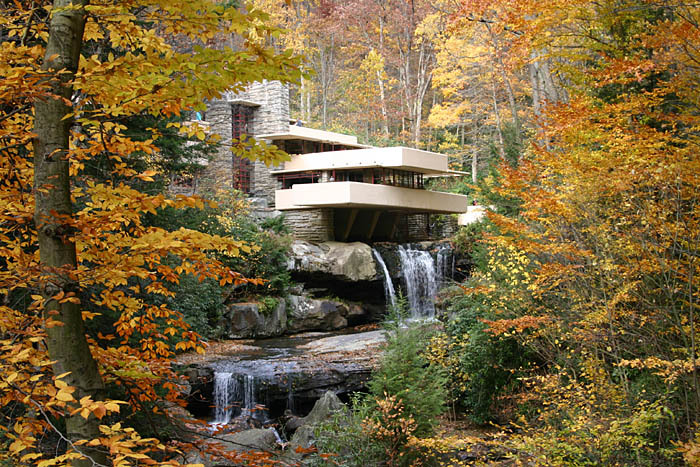 Originally FLW’s client wanted to site the house further down stream, where as a kid he used to play there and look at the waterfall, instead FLW put the house on top of the waterfall so it becomes “being looked at” rather than “looking at”. In other words Nature, in the form of a waterfall, became a “servant” of his house instead of an equal partner talking to each other. Waterfall in the Chinese Garden of Friendship in Sydney Australia, viewed from the Water Pavillion. Tags: Fallingwater, Frank Lloyd Wright and Feng Shui, Man and Nature, Sydney Chinese Garden of Friendship.